MONTEREY COUNTY – CaltransDistrict 5 will hold a Public Information Meeting/Open House regarding a proposal to replace the Limekiln Creek Bridge on Highway 1 in southern Monterey County at the Big Sur Lodge, 47225 Highway 1, Big Sur, CA 93920, on Wednesday, April 10 from 4 pm until 7 pm. The public is invited to this meeting to learn more about this project, view informational displays and ask questions of the Caltrans project team, including staff from engineering, traffic operations and environmental. Caltrans is proposing to build a new bridge west of the existing structure which would be tied into the existing alignment. The bridge profile would be similar to the existing bridge. The public may also submit comments on this project to Caltrans, Attention Matt Fowler, 50 Higuera Street, San Luis Obispo, CA. 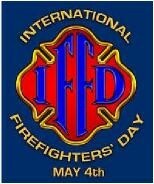 93401 no later than Friday, May 10, 2019. 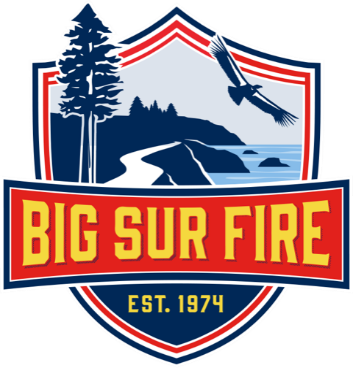 BIG SUR – A construction project to repair slopes, restore the roadway and provide traffic control on State Route 1 at Julia Pfeiffer Burns State Park will begin tomorrow, Wednesday, April 10, Caltrans officials announced today. Roadwork consists of daytime work, consisting of one-way reversing traffic control, Mondays through Fridays from 6 am to 7 pm. NOTE: Motorists can expect delays of up to 20 minutes. The contractor for this $600,000 construction project is Robert J. Franks Construction of Redding, CA and should complete by this fall. driving through highway work zones. MONTEREY COUNTY – Here are the scheduled road and lane closures for Big Sur. One-way traffic controls will be in place on Highway 1 from the Big Sur Library to the entrance to Molera Park/Coast Road in Big Sur for pavement work from 8:00 a.m. to 2:00 p.m. One-way traffic controls will be in place on Highway 1 near the Rocky Creek Bridge for road repairs and work on the bridge from 7:00 a.m. to 5:00 p.m. One-way traffic controls will be in place on Highway 1 at the Vincente Creek Bridge due to repair work on the bridge from 7:30 a.m. to 5:00 p.m. on Thursday. Work hours on Friday will be 7:30 a.m. to 3 p.m.
Work to create a Climbing Lane at Highway 1 and Rio Road was completed late last summer, but some additional needs for the area were postponed in consideration of the tourist travel season. That additional work continues this week at the intersection of Highway 1 at Carmel Valley Road for crews to replace the signal mast arm from 8 a.m. to 5 p.m. from March 18-March 22. One of the southbound left turn pocket lanes onto Carmel Valley Road will be closed to traffic during construction. 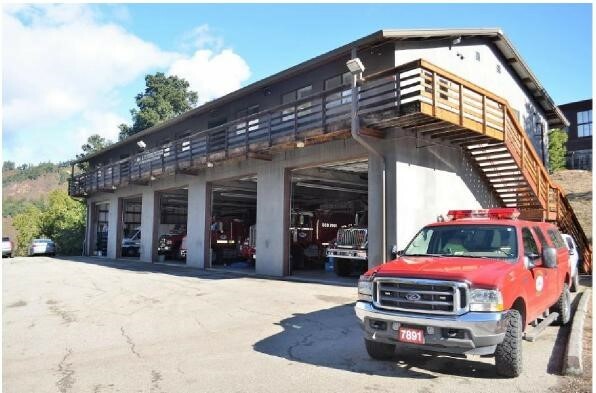 The next Big Sur Multi-Agency Advisory Council meeting will be held on Friday, March 15, 2019 at Pfeiffer Big Sur Lodge Conference Center. Please see the meeting agenda as well as the draft minutes from the October 26, 2018 meeting and Monterey County Resource Management Agency report attached. If you have any questions or need further information, please feel free to contact me by phone at 831-647-7755 or by e-mail at: hardgraves . BIG SUR – A construction project to widen shoulders on the existing roadway and upgrade the guardrail had been postponed due to inclement weather but is scheduled to begin Monday, March 18 along State Route 1 between Hurricane Point and Rocky Creek Bridge in Big Sur, Caltrans officials announced today. Sundays: 8 pm to midnight (Monday morning). NOTE: Motorists can expect delays not to exceed 20 minutes. Although work includes daytime and overnight work, crews are working with the school buses to ensure flow of traffic. Electronic message signs will be posted alerting the traveling public of this project. The contractor for this $3 million construction project is Granite Construction Co. of Santa Clara, CA and should complete this summer. Work to create a Climbing Lane at Highway 1 and Rio Road was completed late last summer, but some additional needs for the area were postponed in consideration of the tourist travel season. That additional work will begin next week. The project will include the area from the Carmel Valley Road turn lane to just south of Rio Road on Highway 1. The construction start date is March 14th and the work will last five weeks. Traffic will be impacted during the project due to lane closures. Crews will be on site seven days a week during this project to expedite the work. 3/14/19 to 4/14/19: Work crews will be replacing the signal mast arm at Highway 1 and Carmel Valley Road. One of the southbound left turn pocket lanes onto Carmel Valley Road will be closed to traffic during construction. Project site work hours will be 8 a.m. to 5 p.m. seven days a week. 4/1/19 to 4/14/19: Crews will be working on drainage improvement, adding an asphalt berm and signal light shields at Highway 1 and Rio Road. The right turn pocket and one northbound through lane will be closed during construction. Project work hours will be 8 a.m. to 5 p.m. five days a week. Photos 1 and 2 of Mud Creek show grouting the cracks to minimize water intrusion and slide displacement above the roadway looking north. Photo 3: shows Paul’s Slide huge boulder before it’s blasted and 4) Video of boulder blasting at Paul’s Slide. MONTEREY COUNTY — Caltrans has received confirmation from National Weather Service (NOAA) data that the significant storms have passed in the areas of Mud Creek (PM 8.9) and Paul’s Slide (PM 21.6) on State Route 1 in the Big Sur area. Caltrans Geotech, Maintenance Design and Maintenance crews assessed all road areas within the closure limits again earlier today. Contractor and Caltrans crews have been busy clearing slide material, repairing and paving the roadway to make it traversable for public traffic. As a result, Highway 1 at Mud Creek will re-open today, Friday, March 8 by 3:30 pm; Hwy. 1 at Paul’s Slide re-opened yesterday. (See photos attached). Motorists may encounter traffic control at Mud Creek over the weekend. NOTE: Our maintenance crews will monitor this location over the weekend and notify us if the movement accelerates or site conditions change. In which case, an update will be provided. MONTEREY COUNTY —Highway 1 at Paul’s Slide (PM MON 21.6) will re-open by 5 pm today, Thursday, March 7. Hwy. 1 will continue to be closed at Mud Creek (PM 8.9) until further notice. Caltrans’ Geotech, Maintenance and Construction units are on call — Assessments and cleaning continues at both sites. Crews are currently clearing perched boulders and catchment areas and will have Paul’s Slide open by 5PM today, Thursday, March 7. The movement at the southern conform at Mud Creek has slowed down; paving is planned for the displaced area tomorrow to make it traversable for public traffic. We tentatively plan to reopen Mud Creek by 5 PM tomorrow, Friday, March 8—dependent on: site conditions, continued displacement, and progress. When Mud Creek re-opens, our maintenance crews will monitor this location over the weekend and notify us if the movement accelerates or site conditions change. 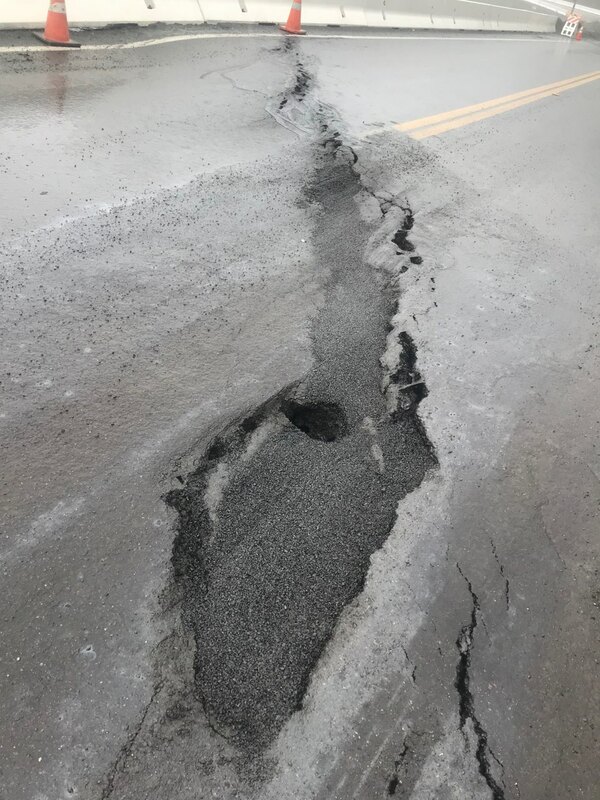 Assessments of the roadway conditions and progress will continue to take place in the morning tomorrow, Friday, March 8. Caltrans’ goal is to open the roadway as quickly and safely as possible and our staff remains on-call 24/7. (PLEASE REFER TO PICTURES OF BOTH SLIDE AREAS, AERIAL OF SOUTHERN APPROACH TO MUD CREEK AND VIDEO OF MUD CREEK BOULDER COMING DOWN, ATTACHED). The gates on either side of Paul’s Slide will re-open at 5 pm today, Thursday, March 7. The gates on either side of Mud Creek will remain closed until further notice. These gates will not be manned when the highway is closed and there will be no access to anyone, including Emergency Services or Caltrans employees until a proper assessment can be made and any necessary cleanup has been completed. NOTE: This advisory applies only to the Mud Creek and Paul’s Slide areas with each closure being treated separately. Please stay tuned for additional information when the roadway opens again. MONTEREY COUNTY —Highway 1 will continue to be closed at Mud Creek (PM 8.9) and Paul’s Slide (PM MON 21.6) due to significant slide activity at both areas. Highway 1 will remain closed at both two locations until further notice. Caltrans’ Geotech, Maintenance and Construction units are on call and prepared to inspect/clean up when the storm ends during the daylight hours and it is safe to be onsite again—Crews inspected all areas earlier today and found several potentially unstable perched boulders that have been working their way down the mountain at both locations. The south approach of Mud Creek, within the locked gates, has shown one-to-two feet vertical displacement since this storm began and a total of three-to-five feet vertical displacement since last Thursday, Feb. 28 (See attached photos from today). Paul’s Slide is showing spring activity and mud flowing off the hillside; K-rail (temporary guardrail) is reaching full capacity. Photos of Paul’s will follow tomorrow as crews are currently out of range. 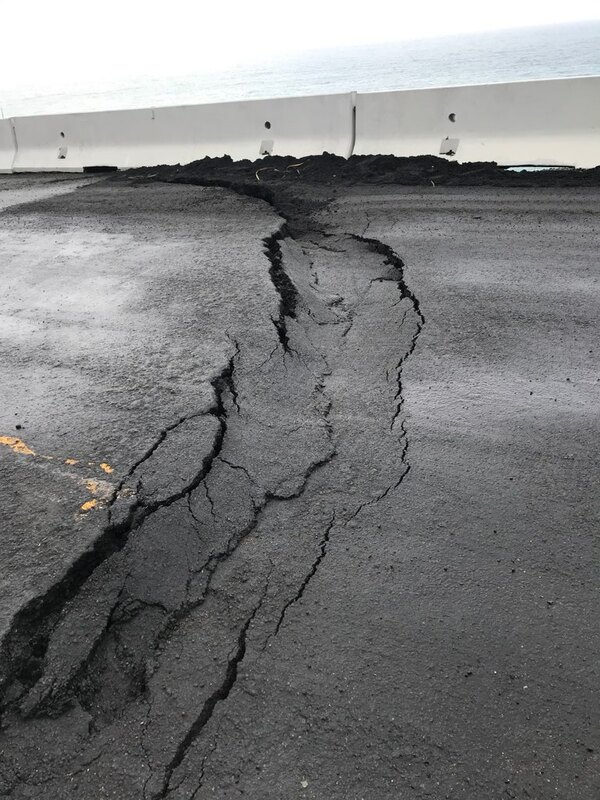 Caltrans maintenance crews and contractor John Madonna are performing herculean efforts to clear the roadway as quickly as possible. Assessments of the roadway conditions and progress will continue to take place in the morning tomorrow, Thursday, March 7th. Caltrans’ goal is to open the roadway as quickly and safely as possible and our staff remains on-call 24/7. NOTE: This advisory applies only to the Mud Creek and Paul’s Slide areas with each closure being treated separately. Please stay tuned for additional information when the roadway opens again. SEE ATTACHED CLOSURE MAP. An update will be provided by mid-afternoon tomorrow, Thursday, March 7th.